David Ragan, driving a Ford Racing modified 2011 Mustang GT, set the Bristol Half Mile speed record last Saturday afternoon at Bristol Motor Speedway during the World’s Fastest Half-Mile Speed Trials. Ragan pushed the supercharged Ford Mustang to a blistering lap of 98.497 mph in 19.481 seconds topping Scott Russell’s Yamaha Superbike run of 97.990 mph in 19.582 seconds. For comparison, Carl Edward’s pole setting time for the Jeff Byrd 500 was 128.014 mph in 14.989 seconds. The 26-year-old Ragan who normally pilots the No.6 UPS Ford Fusion in the Sprint Cup Series was impressed with the performance of the street legal Mustang. The Mustang started life as a Kona Blue 2011 Mustang GT but now serves as a platform for the latest late model Mustang parts from Ford Racing. The 5.0L engine is topped off with a Ford Racing/Whipple 624 horsepower supercharger kit. Ford Racing engineers spent an entire year developing the supercharger calibration for the new 5.0L Ti-VCT engine. To match the 200 horsepower upgrade, the Mustang’s suspension was updated with a Ford Racing FR3 handling pack and Brembo big brake kit. 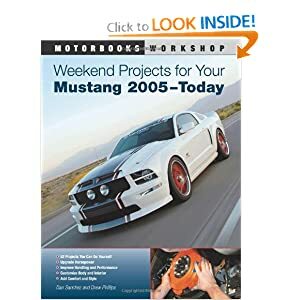 The Ford Racing 2011 Mustang project car made its debut last year at the Woodward Dream Cruise and has been part of the Ford Racing Performance Tour for the last five months. This is the first opportunity for the car to take part in a speed trial. The World’s Fastest Half-Mile Speed Trials will be televised on SpeedTV April 2, 2011 @ 10 pm est.